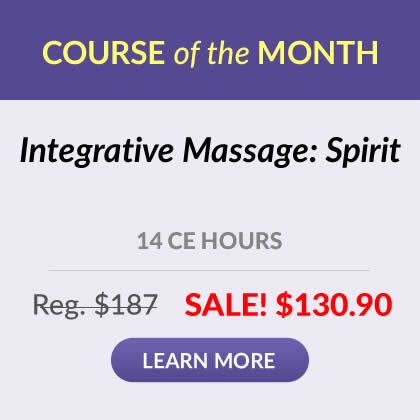 This course helped re-establish my values and intentions as a massage therapist. Thank you for providing such clear and concise information. I enjoyed the pictures as they served to enforce my learning experience. I appreciated the inclusion of the self-reflection exercises: great opportunity to get a better understanding of the material and how I need to work with it. The course materials were as well put together, easy to follow and understand, and well served to meet my continuing education requirements as all prior CE courses from IIHS have been. I am always severely disappointed to see the promotion of the cult of bureaucratization take over the massage occupation. For example the definition of a client/therapist relationship as an unequal power dynamic, rather than a relationship in which both sides gain mutual benefit; or the idea that "dual" relationships are not something humans are capable of balancing maturely; or the idea that if we do not take continually increasing amounts of CE classes, and feed the growing massage bureacracy industry, that we will not be respected. However, for none of these things do I blame IIHS, which has always provided me with a quality product. Initially the material seemed cumbersome but, after settling in and taking the time to comfortably read the material I found it to be just what I was looking for. After seventeen years in this business I found it necessary to re-learn boundaries. There was new views which I found helpful. The bill of rights for the client and practioner were wonderful and I will begin using them for new clients! Thanks so much! This is the best ethics course I have seen yet. The content was very clear, to the point and very professional. I learned a lot compared to any class I've attended on Ethics.. I also liked being able to print off the material so that I can refer to it in the future. Thanks! This was a healthy reminder and one that I love refreshing myself with. Everything here is so clear and I don't need to think about the material very often but...it does bear repeating over and over. IT is so easy to slip from pure client/therapist relationships into dual after many years of working with clients. One does get to know one's clients very well and it is easy to slip into a more comfortable friendly relationship in which, the client might be late, one can go over time..or get together for coffee-a glass of wine at Christmas..I love maintaining the boundaries. Thank you for such a clear and clean course. Always good to remember how delicate the balance is. I was quite pleased and satisfied with this ethics course because I am able to have the information differently after a little round of cancer last year. I realized part of the problems I've been experiencing since beginning the cancer journey was due to ethical dissonance, for me a form of PTSD. This is the first time in my 20 years of practice that I did not struggle with 'having' to take an ethics course. Thank you for giving me peace. Some of the questions were challenging and made me think hard. It was a very well thought out course and clearly presented. I always enjoy being able study online because it gives me the chance to stop and start when I have appropriate time. The test was easy to take when I printed my own hard copy and went through it as I chose my answers online. Thanks for making this available. I really enjoyed this Ethics course. It was a nice review from previous Ethics studies, and expanded my knowledge with added information and examples. So happy that I chose this course in my search! The course meet my needs and was well done. Very easy to use, clear concise information, and great layout. Would recommend and use in future. Thank you, this was a very informative and straightforward course. I appreciate courses like this that are concise and get to the point. Some courses I have done in the past have been very "wordy", making them very tedious to complete. Thank you for this course! Well organized presentation of the information. Great course. I loved the holistic perspective. Very complete. It is good to review ethics. Very needed in our world today. Thank you for this online course. I liked the reflective exercises being added to the course. It made you ask many questions of yourself pertaining to your work place, and others in the massage business. 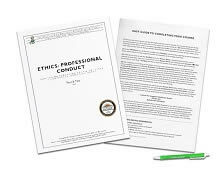 Very precise and thorough information regarding ethics, specifically in massage therapy.Gave easy to understand and practical illustrations of how to apply these ethics and stay professional and ethical in my massage practice. 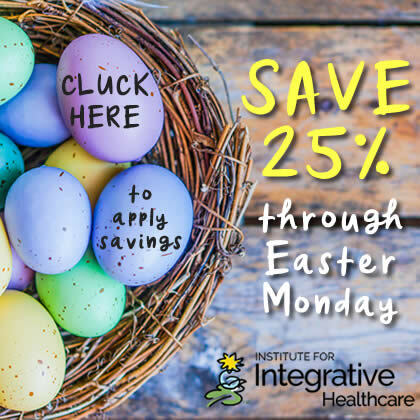 I think the Institute for Integrative Healthcare Studies is excellent. It is one of the best ways in making it possible for me to reach my continued education requirements and gain new skills for my massage therapy practice. Will definitely be continuing to use their courses and study resources. This is the best online ethics course I have taken. Facts given are clear and concise, with no personal opinions. Thank you! Thank you for making this course a fun read. I actually enjoyed it! I am not one to find sitting down to read. The material on the test was easy for me to understand and to keep in my brain for future use. I feel so bad for being proactive..... Thank you!! A lot I already knew from NCBTMB & AMTA, but there was a lot of information I didn’t know. It was very easy reading and put together very well. Great course! Thank you! Learned quite a few new concepts that can be directly applied to my practice. 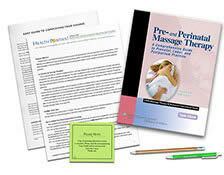 This course was extremely informative and it was helpful to review the ethics associated with massage therapy. I enjoyed the information in the course; it was well written, and kept my attention. Very clearly presented and covered things that were not covered in school. Presentation was good and material was interesting. It was nice having the key vocabulary words to review. Information was precise, comprehendible, and organized. The course was quick, easy and efficient. Love that I learned new information. I really enjoyed the course. I learned some new terms and their meanings. Very glad that I took this course. The Institute was very helpful in providing the actual resource for studying. I am in the process of renewing my board certification and the home study ethics course is necessary to complete my credit hours. Thanks! I have been a massage therapist for 25 years. I enjoy revamping my knowledge, especially in ethics. I learn something new from every CEU course and this ethics course was a wonderful example of that invested new knowledge. Very helpful information. Worth my time! Great Course! This was the best online ethics course I've taken. I highly recommend it. Marketing in our new economy. No matter how many times I go over this course, I still find things I find useful in my practice! The course language was very straightforward, clear and easy to read and all of the pertinent ethics topics were presented. You have provided a simple, accurate and useful course. Thank you. I loved this course! It was straightforward and easy to understand. Easy to follow. Great price & love the choice to have material mailed or done online (or combo of both). I loved this ethics course. It was thought provoking and easy. The course was very professional. I learned a great deal. Thank you. Great information, well outlined, I will definetly use Natural Wellness on-line courses again. Wonderful helpful people as well. This course did add some knowledge and thoughtful reflection to an otherwise dull and generally repetitive continuting education requirement. Very well thought out and presented! Subject was well covered and well handled. I thought the material was clear and easy to understand. I feel the longer we have been therapists, the easier it is to make compromises with clients we have seen for years. Also, feel new therapists see us and feel they can do the same. Was a great reminder for me. This was a great refresher course, and relevant new information. Thank you. It was very informative and helped enhance my knowledge on ethics in the workplace. It also helped me understand what my rights are. Clear and easily understood information. I liked this course. It was interesting and and overall nice course. I definitely recommend this for everyone who needs an ethics course. It was great! This was the best at home-study home ethics course I ever had!. The presentation was all relevant. I always appreciate that the corse gives you the corrects answers. This is a huge learn tool for me. Right on target with expectations. Very informative course! Will be taking more from this site. This is my first time taking credits this way. I normally enroll in a weekend seminar and I LOVE this. The content was to the point and explanations were easy to follow. thank you! The presentation of this course was very organized and easy to understand. Thank you! thank you for offering exactly the CEU # and content needed to renew my license. Too much or too little is aggravating. I liked the ease and convenience of the online purchase. The straightforward and clear layout of the information provided was great. I especially liked the fact that I could print the test to take my time answering the questions, and even refer to the materials to check for accuracy before taking the actual test. Very, very informative. Learned new things. This course was more interesting and personally relevant than past ethics courses. Well written! It was great, it just isn't new information for me. Thank you!! Very thorough & an awesome refresher!!! Great writing - full of information, tips, and useful stories/examples. So much information and so involved. Thank you for the courses. It is easy and convenient to access but loaded with valuable information. Enjoyed! Def a great Ethics course. Very informative and great teaching material. This course was well presented and I will suggest it to fellow LMPs. Great course. Brought some things from the back of my mind to the front. Never hurts to go back to the basics, there is always something to be learned, I have been practicing since 1998. This course was one of the most organized and well written that I have taken. Helpful and easy to use format. Liked the material and got some new insights thanks. I already knew all of the information in this course from massage school. It was a useful refresher, though, because it gave me reassurance that I fully understand the principles and nuances of the ethics of my profession. Overall a very well thought out and written presentation. THank you for making it available as an online course. Very thorough and convenient for meeting ethics continuing education requirements. This course was well crafted and held my interest. I found it clear, concise and accessible. Always helpful to review this kind of couse! Very concise and thorough in the explanation of important legal terms. very helpful in defining the client-practitioner relationship. This course was wonderful, well-defined, & a great refresher! This is my first online course, and I really enjoyed it! There is some very good information in this course. Good reading - actually pretty much what I expected. A lot of it was redundant but only because we have to take this class at every renewal. Still - the examples and exercises were interesting and made me realize again the importance of this class. I really liked that the course stayed on topic and did not waste time on non-related materials. Well organized and well written. Thanks! I really liked this course! This is very important information that every massage therapist should know, and refresh on a regular basis. I will be taking more courses here. A reminder of improvements to make my practice relevant to other entities of the health professions. I thought I would be bored. But found myself very interested in this presentation. I had not looked at ethics quite this way before. Has given me something to think about. Excellent and comprehensive. Thank you!